July is a time for summertime cookouts, sitting by the pool, and recognizing America's Founding Fathers, those guys who were brewing craft beer before it was cool. We're doing our part to make the month a good one by starting up our bottling line. 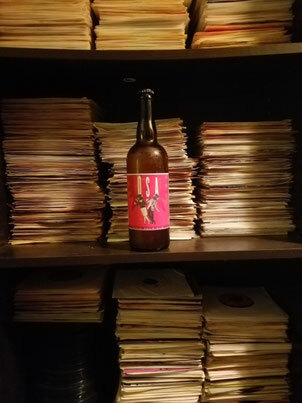 Hop Swap, a smooth IPA made for Goner and Stax Records' annual record swap, was first up. This limited release big bomber is full of Zythos, Eureka, and Styrian Wolf hops, giving it citrus and fruit flavors. We're also planning on releasing a higher gravity beer in bottles: Soulless Ginger. This super saison with candied ginger and peppercorns is a bigger version of our Soulful Ginger. With an ABV of 10.1%, it is perfect for sharing with friends. Less than 50 cases are making it out of the brewery, so keep an eye out for it around town. We're doing more than bottling at the brewery. The tap room features Kevin Cerrito Trivia on Thursdays at 6:30 p.m. and Bingo on Fridays at 8 p.m. Prizes and glory await. On Thursday, July 20, the Comma Comedians perform starting at 8:30 p.m. The show is free. We're hosting the Beer Choir 7 p.m. July 24 if you need to beer to help you sing in public.